Oil Stainless Steel Cleaner is an oil based cleaner polisher that leaves an invisible protective finish on all stainless steel surfaces for added protection. 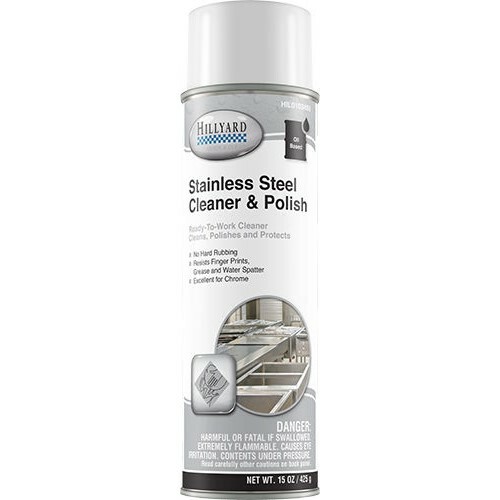 Formulated with a blend of cleaning solvents and fine oils for a superior cleaning job on your stainless steel. This product cleans, polishes and protects the surface without hard rubbing. Does not leave an oily residue. With regular care this product can help prolong the factory finish. Resists fingerprints, grease and water spatter.